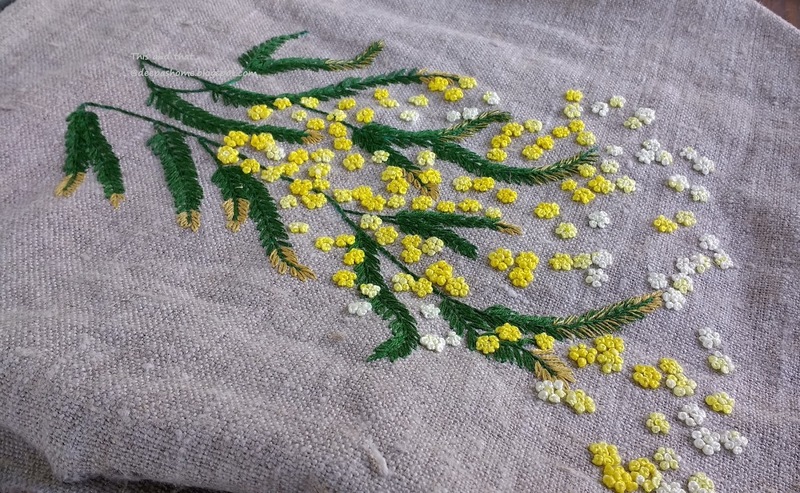 French knot number 999..the Spring jute project is complete!! No whining this time!! ( big,big smile). All's good!! So, I've stitched up 1000 or more french knots. I feel that I've reached a stage where I can stop knotting.. This will go back to Simone who gifted me this fabric. Hopefully it'll either be framed on stitched on to a bag. If framed, I am envisioning this piece in an oval frame. What do you think? 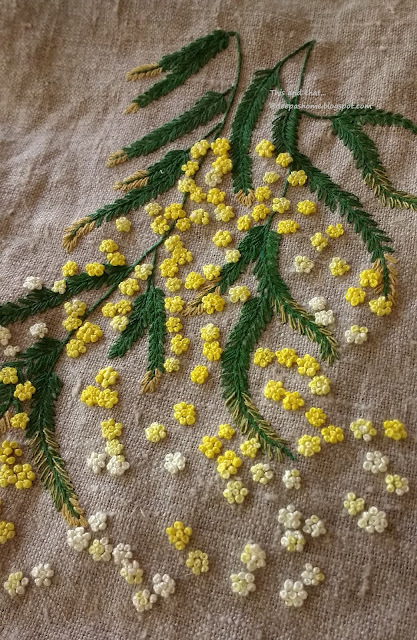 The flowers were stitched with Anchor variegated Perl cotton.With some planning I was able to keep the yellow flowers together and the whites at the bottom. Whenever I see the pictures I click, I feel the need to take up a photography course. More so when I see some of the Instagram pictures and blog posts of my fellow embroiderers. What should I do to take better pictures? I'll have to google and learn a bit. That's another item in the to-learn list. Anyways, now its back to the Brazilian embroidery piece. And oh, forgot to tell you..next week we are visiting Amsterdam and the very famous Tulip gardens!! Flowers everywhere..yoohooo!!! Wishing you all a wonderful Easter and an amazing Spring!!! I love French knots and Bullions. For sure I would make a bag. The mass of knots make this a wonderful design. Enjoy the tulips of Holland. Have a nice holiday and be safe. This stitched piece is perfection. Will I EVER make perfect French Knots like yours? Pretty impressive French knots! And I agree - oval frame for sure. Hope you enjoy the tulips and share some pictures with us (who are still a long way from seeing any). such a beautiful flower will make both a lovely bag or picture yes an oval frame would be perfect. Enjoy the tulips, I have lots out in the garden at the moment, love them when not fully open we are due lots of sun today so they will all open wide but close up again in the evening. Absolutely lovely, this piece is all about spring and sunshine. Enjoy Amsterdam, and have a happy Easter! Happy Easter and Safe Travels. Love your yellows - beautiful! This is gorgeous! Are you going to visit the Keukenhof to see the tulips? It's been years since I've been there. Always your embroidery works inspire me to start embroidery project. Loved this. I haven't done anything n hand embroidery. Shall stat soon. 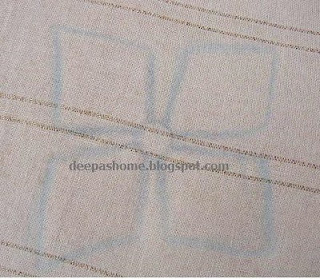 Eager to see your Brazilian embroidery works. 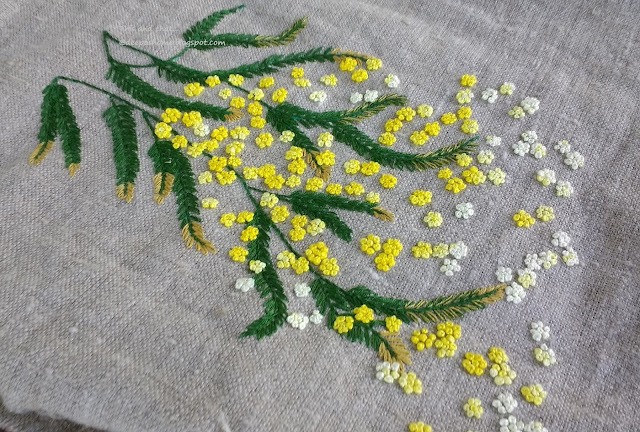 Loved your French knots.. variegated thread made it more beautiful .. Photography tips I learned from experience is the importance of day light .. not the direct sunlight , if your u can't use natural day light, try to use day light lamp.. Superb Deepa. I don't know how I miss this post. 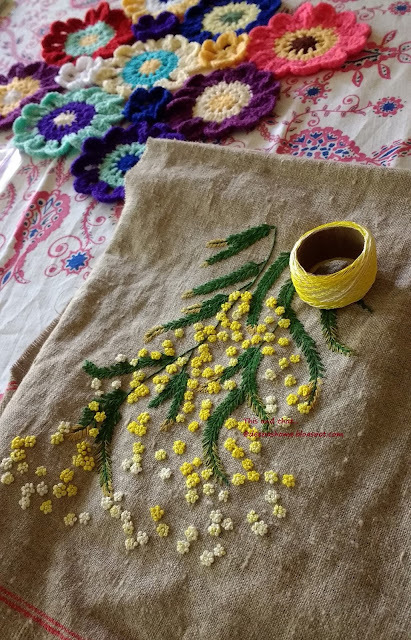 French knots looks beautiful as if they are lying on the ground.